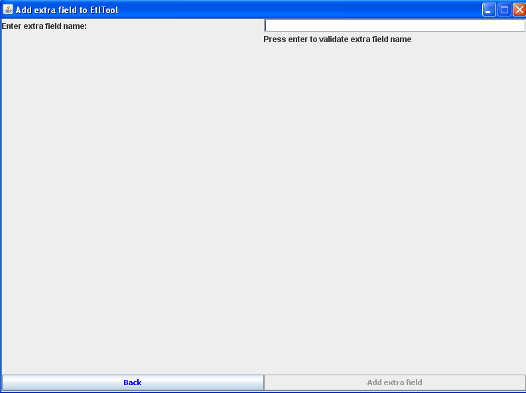 EtlTool is retrieving fields it founds from the datasource file .txt or .csv or .xls you have previously chosen. You can tell if this fields (first line read) are titles (columns names) or not. If you say "yes" it means EtlTool keeps the value it retrieved as the column name. 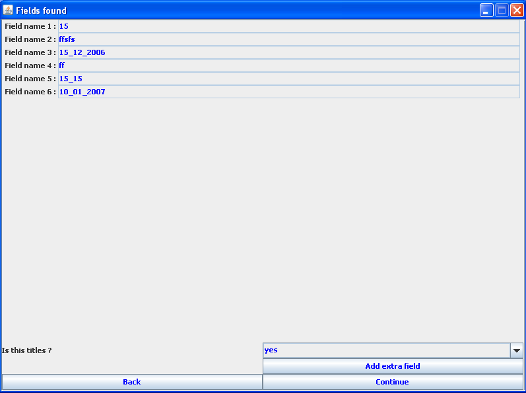 Since Benetl 3.3 it is possible to add extra field to your EtlTool. Click on Add extra field and a new window appears.